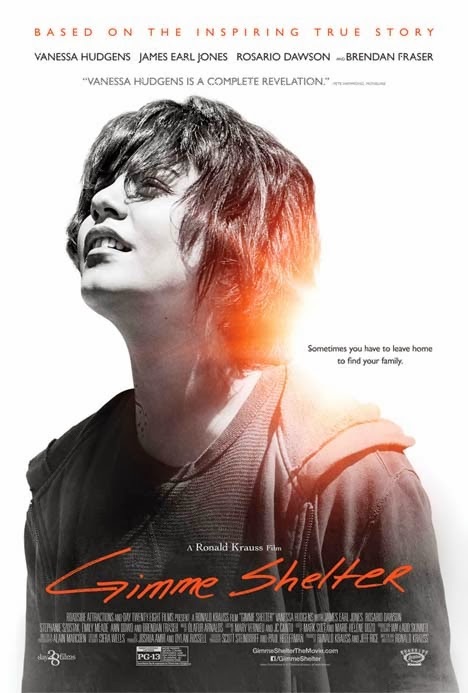 Based on a true story that centers on 16-year-old Agnes "Apple" Bailey (Vanessa Hudgens), Gimme Shelter uncovers the struggle for survival and the hope of redemption through the harsh realities of life on the streets. As a pregnant teenager, Apple's journey plummets her into a perilous struggle until finding salvation in a suburban shelter for homeless teens. With provisions of unprecedented comfort, a collective sisterhood connection and female empowerment, the shelter elevates Apple to break the shackles of her past and inspires her to embrace the future with clarity, maturity and hope not only for herself but her unborn child.